Hey Upper East Siders. 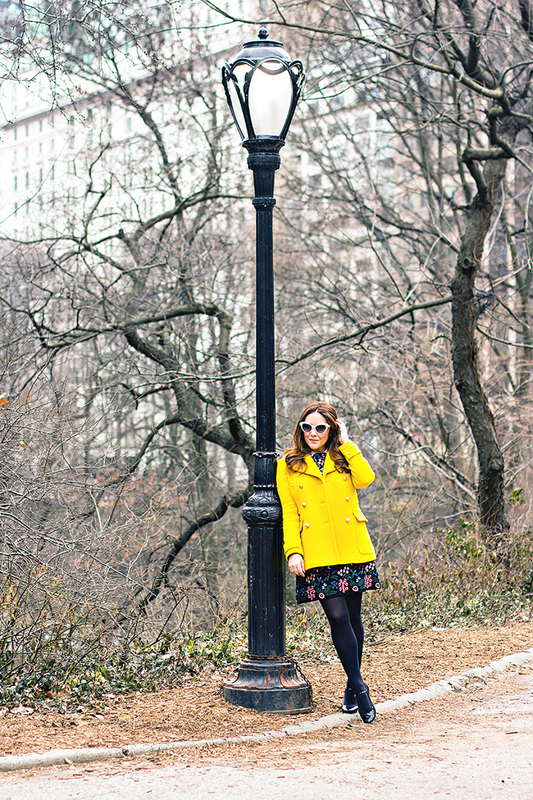 Ashley here to share with you what I wore for my favorite day in NYC. 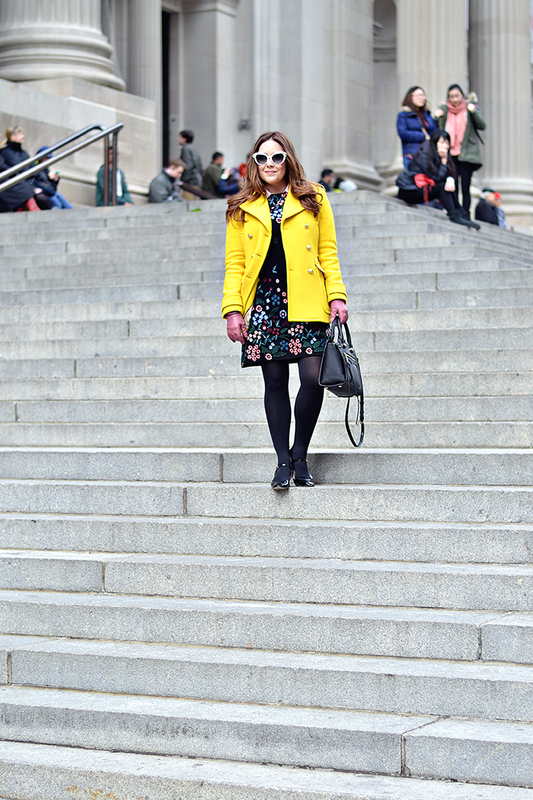 Spotted brunching at Sarabeth's, feeding the ducks in Central Park, and gossiping on the steps of the Met, Emily and I spent all day Friday living out our Gossip Girl fantasy, complete with coordinating bright ensembles. I mean, who do we think we are, Blair and Serena? Yes! For a day at least. 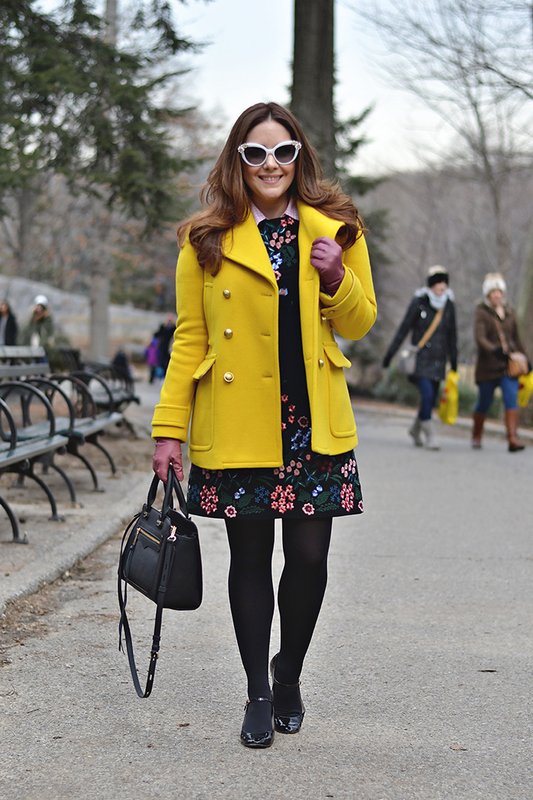 In the immortal words of Blair Waldorf, "fashion is the most powerful art there is." "It's art, history, and culture, everything I love." Blair gets me. 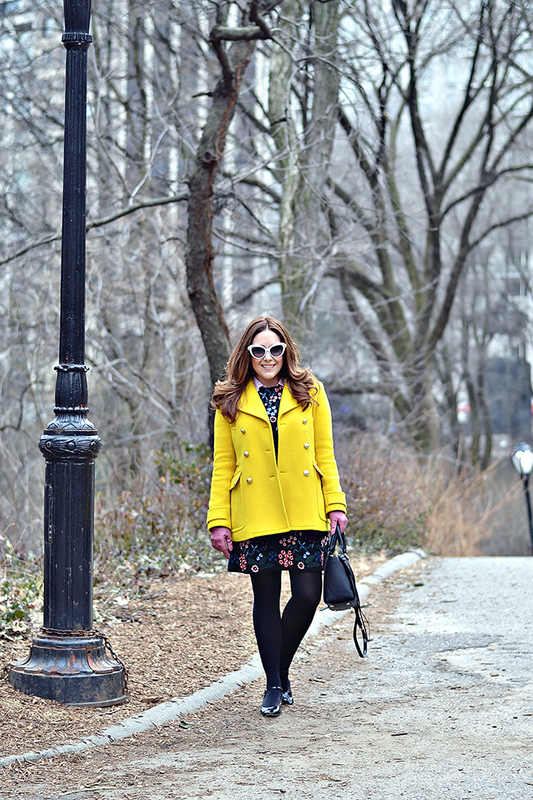 And we honored B and S's appreciation of and influence on fashion with our matching bright yellow and pink coats. E channeled the Upper East Side's love of all things prep with a white skirt, pearls, polo sweater, and loafers. 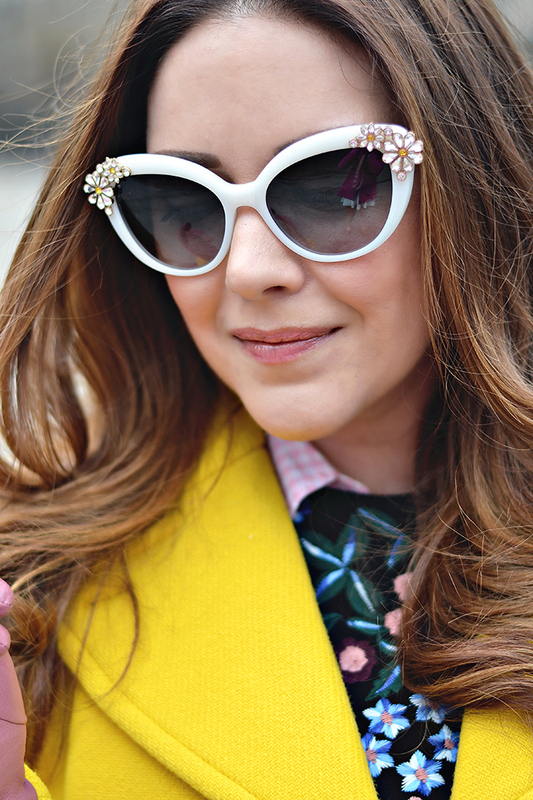 And I honored Blair's bold style with a little print mixing, unexpected color combo, and some fab sunnies. If only I had remembered to pack my favorite headband! Whoever said money doesn't buy happiness, didn't know where to shop. Fortunately, I do and you can shop some of my favorite signature Blair styles below. You know love me, XOXO.